The following new single copy challans. We are a company XYZ Ltd. and have deducted tax source for both companies and non - companies on 'Interest other than interest on securities'. 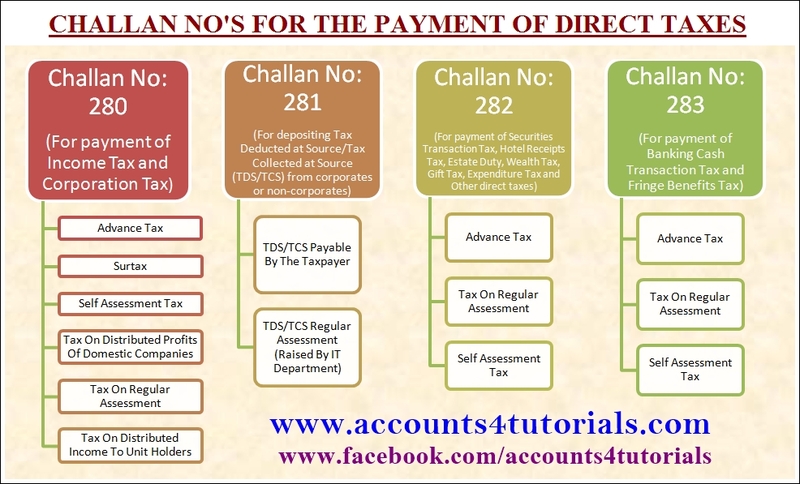 Which challan should we use to deposit the tax? We have to deposit taxes on account of TDS on salaries of our employees as well as TDS on interest paid to fixed deposit holders who are individuals and other corporates. Can we combine the three payments in one challan. After depositing my tax at the bank, I have noticed that I have mentioned the Assessment Year / Minor Head incorrectly in my challan. Whom do I approach to have this corrected? No, you should deposit separate cheques for each challan. As on date, 30 banks and the Reserve Bank of India (RBI) at 8 centres are collecting taxes through their authorised branches. To check the nearest authorised bank branch, you may contact the bank manager of your bank who will be able to guide you. 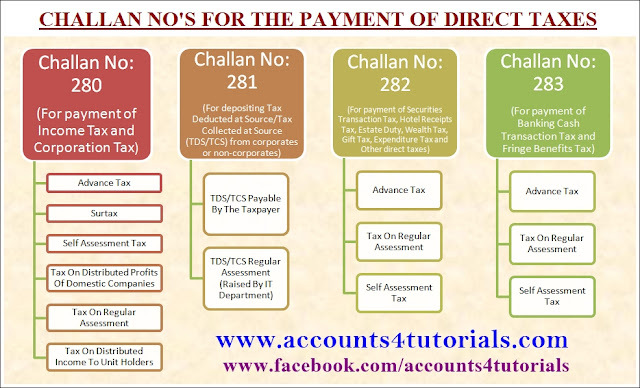 This information can also be obtained from NSDL-TIN website and the Income Tax Department website. You can make income tax payment through the internet. This facility is called e-Tax payment. Details of the same are available at NSDL-TIN website and the Income Tax Department website. If any problem encountered at the NSDL website while entering non-financial data then contact the TIN Call Center at 020 - 27218080 or write to us at (Please indicate the subject of the mail as Online Payment of Direct Tax ). After making e-payment of direct tax if status of challan is not available under Challan Status Enquiry on NSDL site, what should I do? If after entering challan details in NSDL site if Bank Name is not being displayed what should I do? If still above raised problem not resolved then kindly contact the TIN Call Center at 020 - 27218080 or write to us at (Please indicate the subject of the mail as Online Payment of Direct Tax ).